From the unreal body work and fresh stylish interior to the entire drivetrain this 1965 Dodge Coronet 500 is a B-body Mopar muscle car at its finest. The paint is literally like Black mirror, all the chrome and glass are as close to perfect as it gets so this beauty can win trophies at car shows with ease. The White interior is also fully redone and pretty much defines the term time capsule. 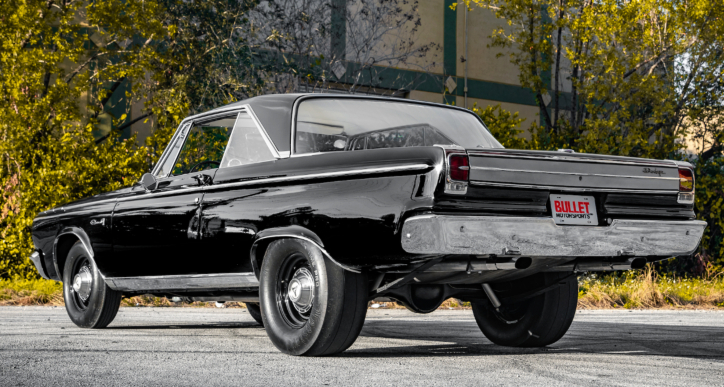 But this Black 1965 Dodge Coronet 500 is not all about appearance and style. 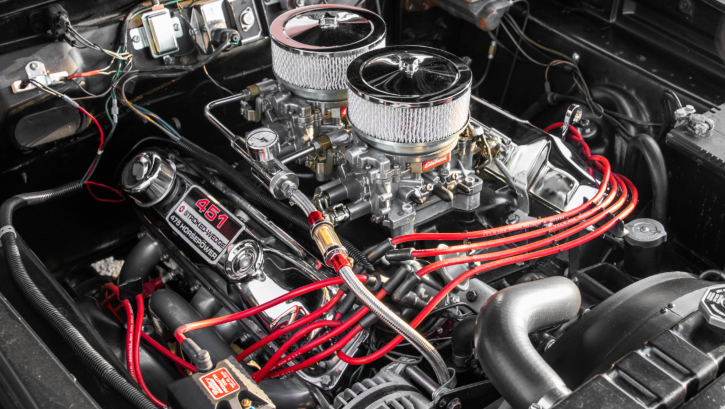 The clean engine bay is fitted with Stroked 451 cubic inch Wedge motor topped with dual quad Edelbrock carburetors capable of 475hp. The power is controlled by TorqueFlite transmission with B&M shift valve body and 2500 stall converter and this Mopar runs as great as it looks. Check out the Bullet Motorsports video to see this sleeper in action and make sure you hit the Like!